City Park West had the highest appreciation in Metro Denver in 2011. Our real estate office published this 2011 Home Price Change Map showing ‘City Park West’ with an appreciation of 34% in 2011. Wow!! Our active City Park Realtor will create your personal real estate report. I lived at 2141 and 2147 Gilpin Street in that neighborhood from 1986 to 2001 and I am not surprised knowing the great amenities, location, and the great quality of these turn of the century homes. It’s another Denver community that features solid brick homes with ‘columns and fireplaces’. 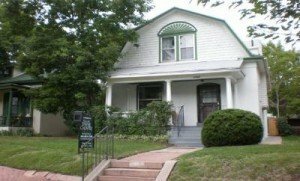 Many are 2-Story Denver Squares, Victorians, Bungalows, and classic duplexes with wood floors, built-ins, ornate woodwork and big comfortable front porches. My Grandmother moved here in 1955, settled in to the big family home on 2335 Humboldt she purchased for $8,000. The home stayed in the family after her death until it was sold in 2008 for $288,500. We fell in love with the area and with City Park by coming up from Oklahoma to visit my Grandmother here in Denver in the 50’s and 60’s. City Park is still my favorite park in Denver. We have enjoyed the Museum of Natural History, the Denver Zoo, the Planetarium, and the City Park Golf Course. This fabulous, safe community is also minutes from Downtown Denver, Five Points, Botanic Gardens, Cherry Creek, and all sorts of recreation, restaurants, and shopping. The City Park area has a long and illustrious history with all types of stories that make it a grand, glorious, and sometimes mysterious place to live. Even to many reports of haunted houses in the area. This was my grandmother’s home in City Park West. The last major improvement in the area started in the mid 80’s. This was when the real estate economy economy was similar to what we have experienced in the last few years. When the economy changed and the market turned around in the 90’s, there was much investment in the area. Many home buyers from the suburbs moved back to metro Denver to be close to Downtown Denver and move into classic homes at bargain prices. When the development in the area started, the demand for these homes caused the appreciation to grow suddenly. In fact, it grew 10-15 percent for several years, even with high interest rates. Now, it seems that cycle is back and we are poised for another price increase in this area. The Home Price Change Map link above shows not only a major 34% appreciation, but Days On Market are down from 109 days to 54 days. The median price is now up to $568k. City Park is a great place to live, to invest, and to enjoy. I can give you first hand advice about this area or any of the Central Denver neighborhoods that breathe urban charm. 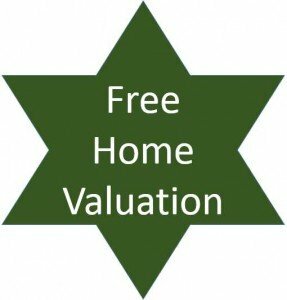 Have a question about City Park real estate? Please use our easy to follow form below and we’ll get back to you quickly! A very interesting article and great to see that the market remains strong in certain places. Now may be an ideal time for those looking to Sell in Denver in order to achieve the best price possible in years whilst demand remains high. In the UK market London real estate prices continue to increase whereas the vast majority of other regions are stagnant or in slight decline such as in Manchester.